Reading time – 39 seconds; Viewing time – 1:54 . . .
Stock markets have come unhinged since the vote and we have learned that the perpetrators of the UK exit from the EU have no next step. Nothing. They invaded, they conquered and now haven’t a clue what to do, leaving chaos to reign. Here’s what that means to you. We humans are peculiar critters, in that we are profoundly uncomfortable in the absence of predictability. It is an existential fear of the unknown and we react badly to that. 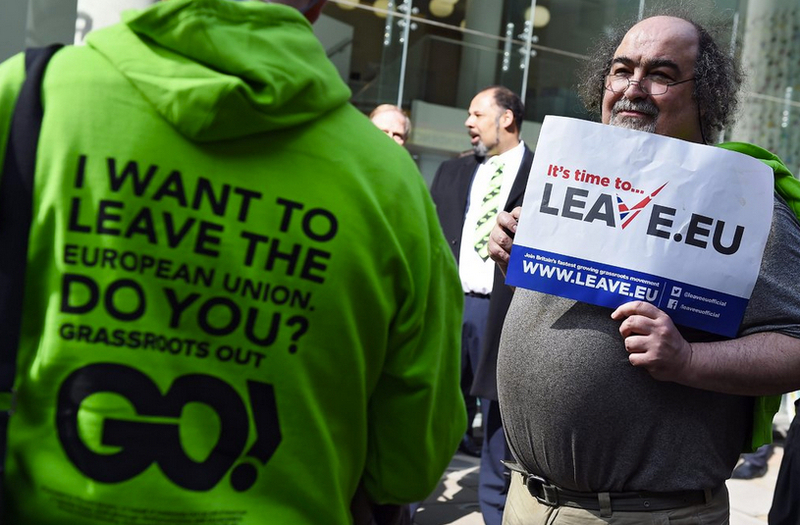 Brits have been living with the unpredictability of a globalizing world and that lack of clarity has made them jittery. Since many of those who look to you for leadership are also human beings, they likely answer that same jittery description. So, the first lesson of Brexit is to provide clarity always, like a “THAT way” message. The amygdala is the oldest part of the brain (often called the “reptile brain”), the function of which is survival of self and the species. There are no warm fuzzies to be found there, nor any clever reasoning. When we are afraid the amygdala pumps out fear messages (fight-or-flight) at about ten times the rate that our clever, reasoning frontal lobe can analyze anything, leaving us with only powerful knee-jerk behavior. It is exactly why you cannot reason with a person who is angry. The point of outlining that is that Brexit occurred precisely because millions of Brits were angry about their circumstances and they reacted with reptile behavior and with no thought about consequences. What that means for you – lesson #2 – is embedded throughout the Fully Alive Leadership Practices. I invite you to review them and decide how you can step up your game, lest you create an unnecessary Pexit (“people exit”) of your best employees.